Gabriel Sava; Stephen Quigley, Alan McNally, Derek Prendergast, Shane Grimes; Eric Foley, Brian Gannon, Gavin Brennan; Sean Brennan (Mark O’Brien 74min); Tiarnan Mulvenna (Johnny Breen 90min), Declan O’Brien (Peter Hynes 83min). Brendan Clarke; Ger O’Brien, Conor Kenna, Kenny Browne, Ian Bermingham; Chris Forrester, James Chambers, Greg Bolger, John Russell (Darren Meenan 82min), Jake Kelly (Dean Kelly 63min); Christy Fagan (Ian Daly 85min). It was 0-0 at Hunky Dorys Park as a dominant St Pat's left their shooting boots behind and nearly paid the ultimate price. In a poor first half Christy Fagan had the best chances for the visitors but failed to test Gabriel Sava in the Drogheda goal, while Pats keeper Brendan Clarke dealt comfortably with a Derek Prendergast header. The Boynesiders held firm and almost snatched victory on 86 minutes when Tiarnan Mulvenna fired against the inside of the post. 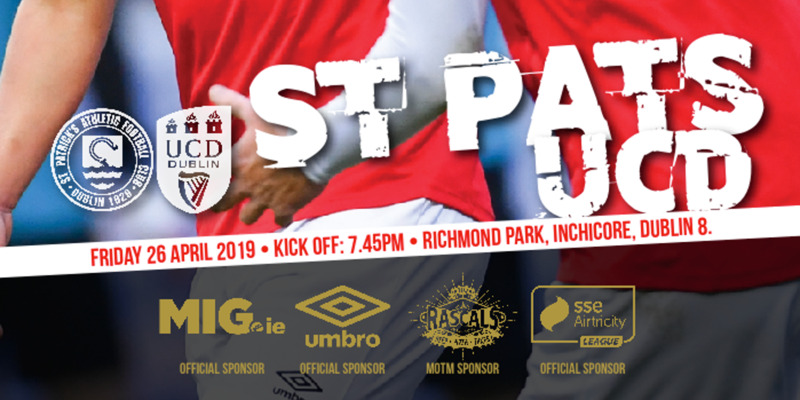 Having scored five against champions Shamrock Rovers last week, St Patrick's came into the game on a high. This game pitted unbeaten Pats with a Drogheda side who had won their last five games in league and cup, and it was the visitors who started brighter as Jake Kelly dragged a 15-yard shot in the third minute. 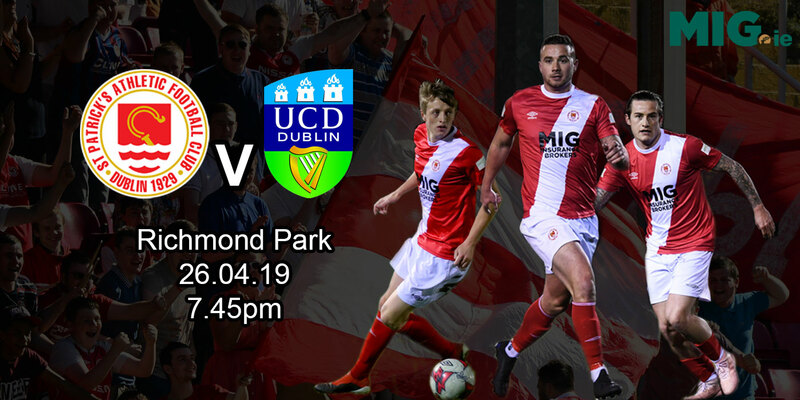 A quiet spell followed as the sides cancelled each other out, but then a more clear-cut opportunity arrived for Pats in the 23rd minute when James Chambers met Christy Fagan's cross but looped his header over the bar. Greg Bolger had a similar chance a minute later for the visitors, before Drogheda threatened for the first time when Derek Prendergast headed a Sean Brennan corner straight into the hands of keeper Brendan Clarke. The home defence were being stretched at times and Pat's opened them up again in the 28th minute when Kenny Browne released Fagan in the box but he pulled his shot badly across goal. The diminutive striker then tried his from distance, but again Gabriel Sava in the Drogheda goal was untroubled and the remaining 10 minutes of the first half passed off without any further incident of note. 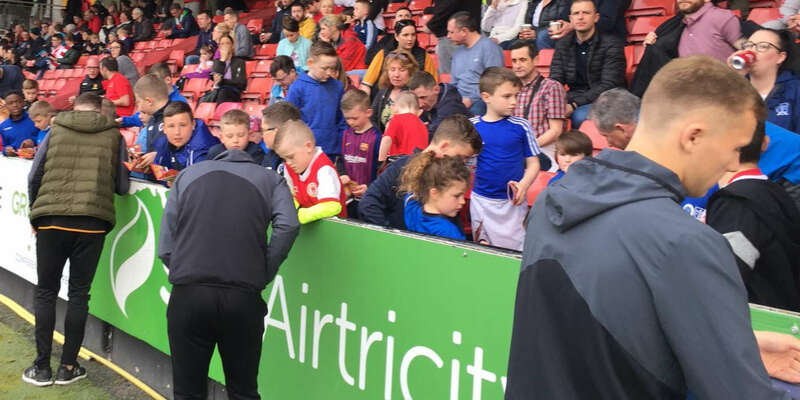 Whatever Pats boss Liam Buckley said at the interval had the desired effect as his team strengthened their grip, Forrester forcing Sava into a save and dragging another two efforts wide as the home side held on grimly. The visitors also had half-hearted claims for a penalty for hand-ball when a Fagan shot was blocked amid a crowd of bodies, while Drogheda posed no threat in the opposition half whatsoever. That was until the 85th minute when Shane Grimes overlapped Gavin Brennan and delivered a low cross for Tiarnan Mulvenna whose shot from 12 yards bounced off the inside of the post and was scrambled away to safety by the Pats defence.